Back in 1964, Hurricane Dora created a dune on a piece of property in Florida. 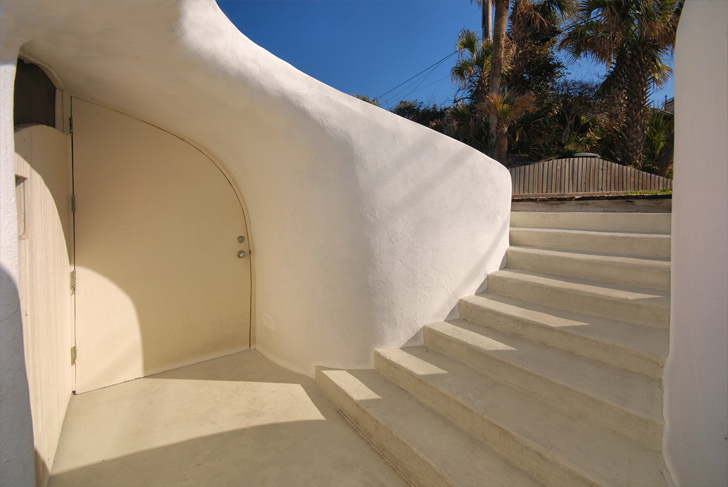 It couldn’t have picked a better place as the property was owned by a very creative architect by the name of William Morgan. But it was a decade later that he decided to take advantage of this natural element. The architect came up with the idea to build a pair of rental homes. 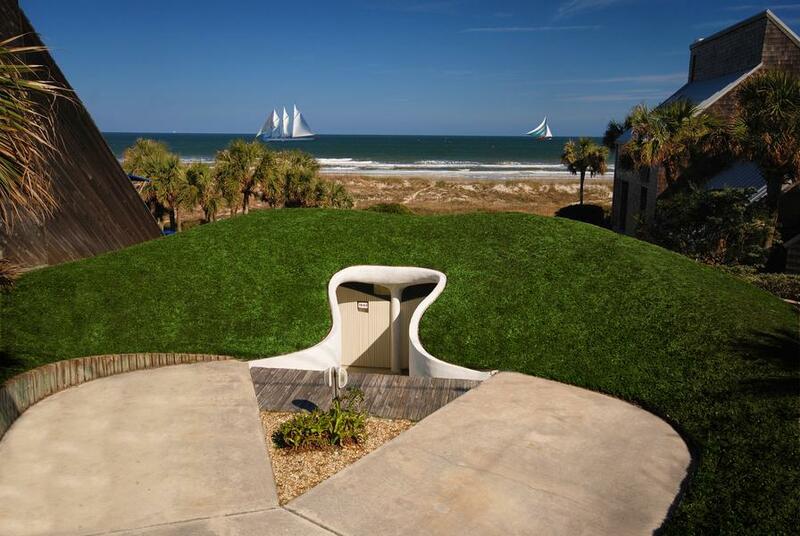 Instead of building on top of the dune, he decided to burrow down so he created what was later known as the Dune House. 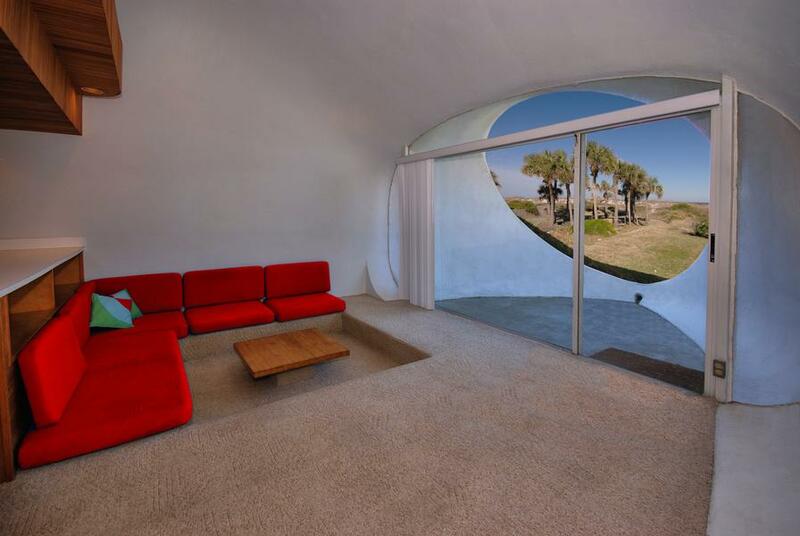 The space inside the underground houses is actually a duplex. It includes two-story suites with living spaces on the lower level and bedrooms and bathrooms on the upper floor. They also have beach-level terraces. 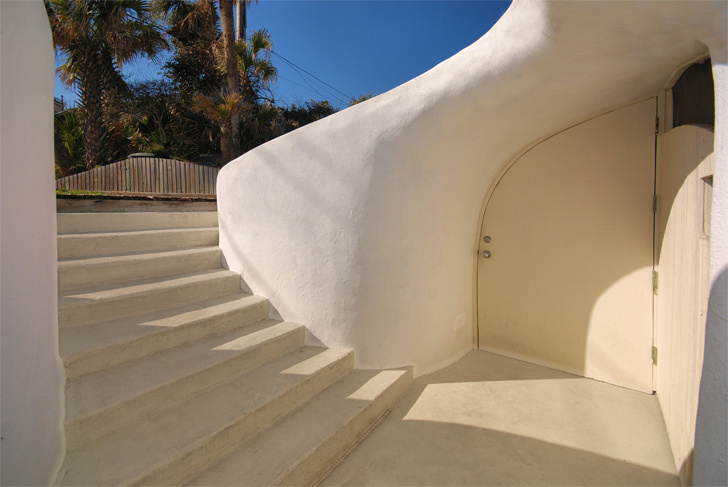 The Dune House was built in 1975 and is composed of two nearly-identical structures that share a common stairway. They have a surface of 750 square feet each. The hobbit homes became rental homes for those seeking a quirky place to stay during their vacation. 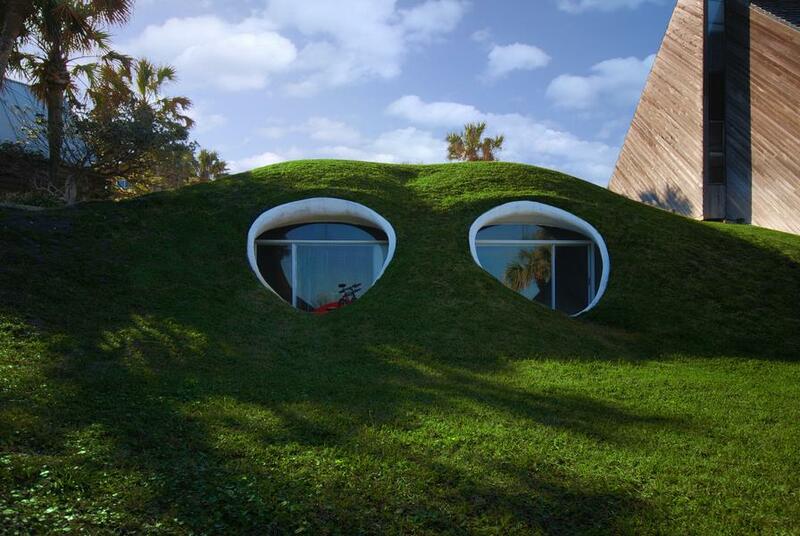 Barely visible from the street, the duplex resembles a giant frog head with two large eyes – the window openings. All that sand accumulated around the homes keeps the temperature inside constant all year round so very little heating and cooling is needed. 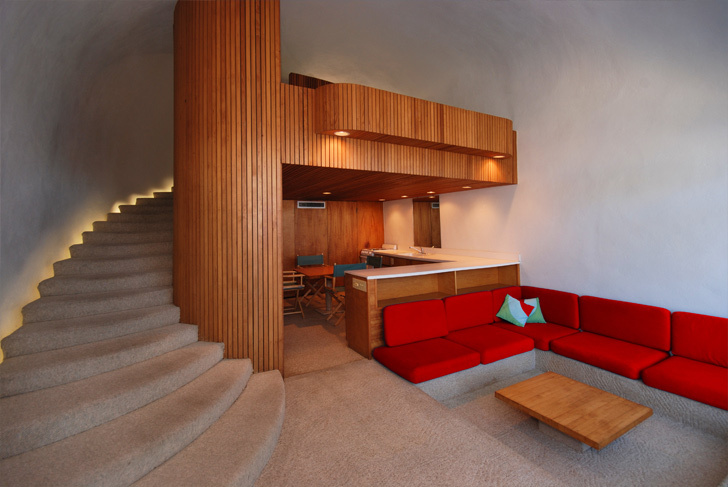 The interior is a combination of modern and retro elements with mid-century modern details. The main entrance is on the upper level. The living room, eat-in kitchen and the seating area are situated downstairs, with a glass wall separating the living space from the patio and the ocean views. 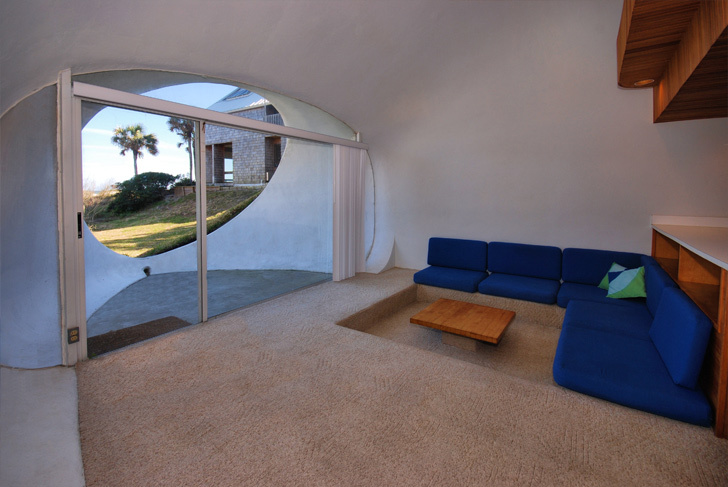 The Dune House was built using swimming pool technology, with a gunite-concrete shell. 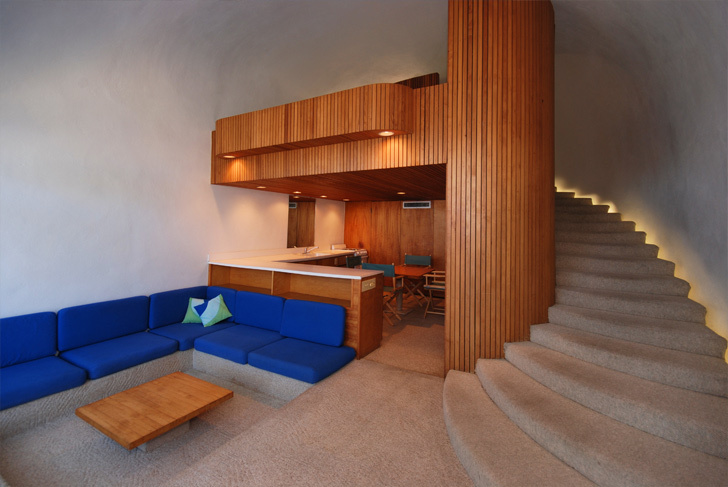 The interior is mostly made of wood and includes built-in furniture.